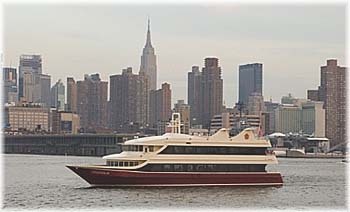 A beautiful 3 deck yacht with sleek lines. 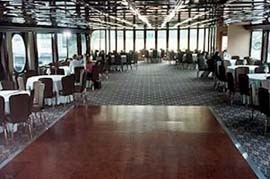 The main dining salon will seat up to 225 guests comfortably on one level with a large dance floor. The bridal changing room is available with a private bathroom. 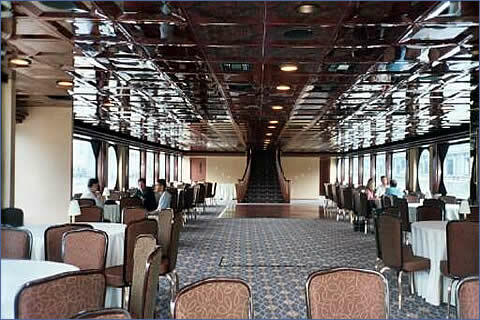 The levels are climate controlled and Atlantica offers an outdoor observation level on her top deck for wedding ceremonies. 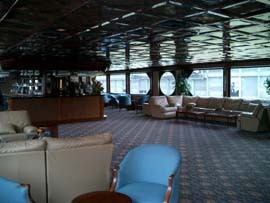 The Atlantica is certified to carry up to 350 guests for cocktail style events.